Scent: Minty, reminiscent of peppermint candies, but more concentrated. More fragrant than spearmint. Benefits, Indications: Asthma, bronchitis, candida, diarrhea, digestive problems, fever, nausea, halitosis, hemorrhoids, hot flashes, menstrual irregularity, headaches, motion sickness, tumor growth, respiratory infections, shock, itchy skin, throat infections, varicose veins. 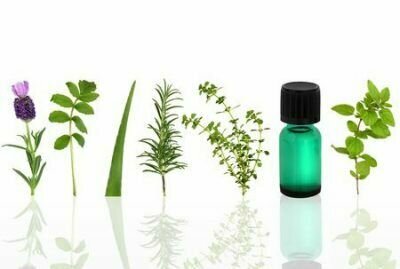 May help arthritis, depression, skin conditions (eczema, psoriasis, dermatitis), food poisoning, hives, hysteria, inflammation, morning sickness, nerve regeneration, rheumatism, elevate and open sensory system, ease the pain of toothaches, kill tuberculosis bacillus (according to recent research). It can heighten or restore the sense of taste by stimulating the trigeniminal nerve. Peppermint oil is excellent for mental fatigue and depression, refreshing the spirit and stimulating mental agility and improving concentration. It helps apathy, shock, migraine, nervous stress, vertigo and faintness and general respiratory disorders, as well as dry coughs, sinus congestion, asthma, bronchitis, pneumonia, tuberculosis and cholera. For the digestive system, peppermint oil is effective for a range of ailments, as it stimulates the gallbladder and the secretion of bile. It is used for colic, cramps, dyspepsia, spastic colon, flatulence and can relieve pain of aching feet, neuralgia, muscular pains and painful periods. Precautions: Peppermint oil is nontoxic and non-irritant in low dilutions, but sensitization may be a problem due to the menthol content. It can cause irritation to the skin and mucus membranes and should be kept well away from the eyes. It should be avoided during pregnancy and should not be used on children under seven. Chemical Composition and in vivo Efficacy of the Essential Oil of Mentha piperita L. in the Suppression of Crown Gall Disease on Tomato Plants.